- Size: About 6.7 x 4.5 x 4cm/2.6 x 1.8 x 1.6inch. Cute small wind up Christmas Santa Claus walking toy, perfect Christmas party favors gifts stocking stuffers novelty toys for toddlers boys girls and kids. Teach babies to recognize colors and have basic learning about Christmas Day. Encourages your baby to crawl and walk to chase the toy. Cute and cartoon pattern can greatly arouse baby's interest and help them develop hand-eye coordination skill. 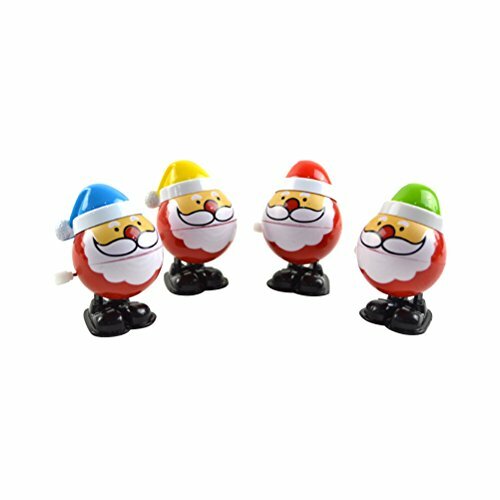 These adorable wind up small Christmas Santa Claus toys are great for little kids to play.